A sort of superhero of teas, Matcha Green Tea is a super-concentrated powder that’s full of antioxidants and feel-good nutrients, so it could have amazing benefits for your physical and mental health. 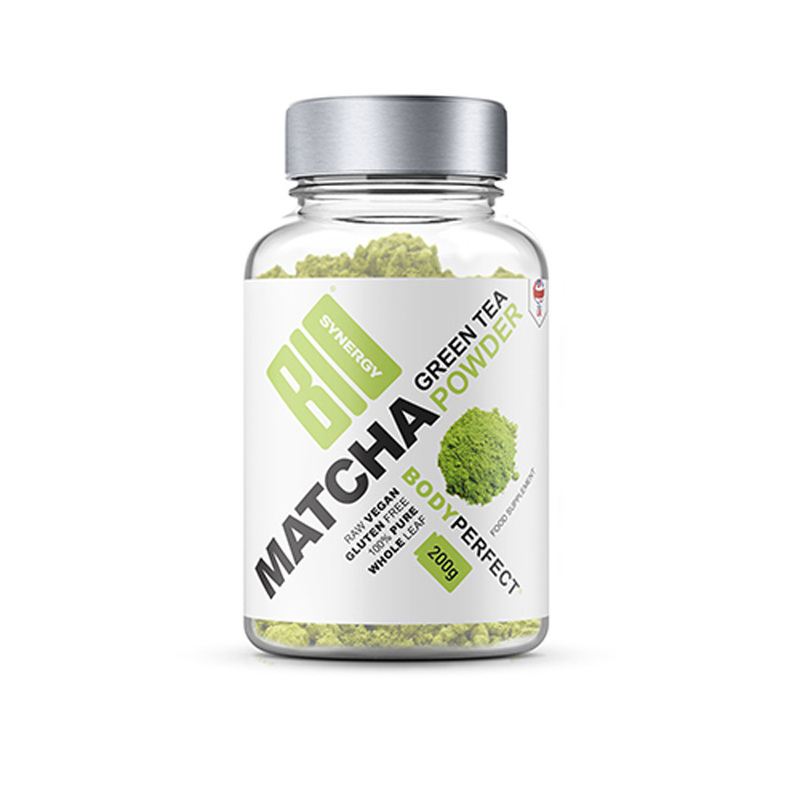 The major antioxidant in green tea, called EGCG, has been known to help with weight loss and fat burning, and Bio-Synergy Matcha Green Tea Powder holds significantly more of it than regular green tea. Our powder also outdoes regular green tea in nutritional value, with around ten times more polyphenols, chlorophyll, vitamins and minerals. So, if you’re looking to lose weight and feel healthy, try adding our bright green powder to your smoothies, shakes and favourite bakes. In just one ingredient, 100% whole matcha green tea leaves, you get an incredibly long list of health benefits. It’s known to promote weight loss, reduce cholesterol and blood pressure, support detox, enhance mood, lower stress, increase energy, keep blood sugar in check and stimulate the immune system. Every serving gives you vitamin C, selenium, chromium, zinc and magnesium and amazingly, about 137 times more antioxidants than regularly brewed green tea. It’s also great for slimmers. Match Green Tea contains polyphenols and a small but significant amount of caffeine, which stimulates an increase in fat burning and boosts your metabolism. With all these incredible benefits, it’s no wonder our Matcha Green Tea has been called nature’s super powered remedy. Match Green Tea has been a ceremonial beverage drunk by Buddhist monks and royalty for over 900 years. IS MATCHA GREEN TEA POWDER RIGHT FOR YOU? It’s not an exaggeration to say that every person on the planet can benefit from Matcha Green Tea. So, the answer is yes, no matter who you are. It’s also perfect for anyone looking for a wholesome way to trim down and burn fat. We’ve got you covered with a wide range of other health and wellbeing products: Colon Detox, Big Red Krill Oil, Green Tea Matcha Powder, Acai Berry & Green Tea, Pro Collagen & Multivitamin and Activewoman Multi Vitamin. Like all our products, Bio-Synergy Matcha Green Tea Powder is made from the highest quality ingredients. Unlike some other matcha powders, we only use the leaf of the plant, and not the stem and veins, which dilute its nutritional value. 100% Pure Camellia Sinensis (Matcha Green Tea Powder). For optimal results, add 1 scoop to water, your favourite juice or smoothie or try it in your baking.